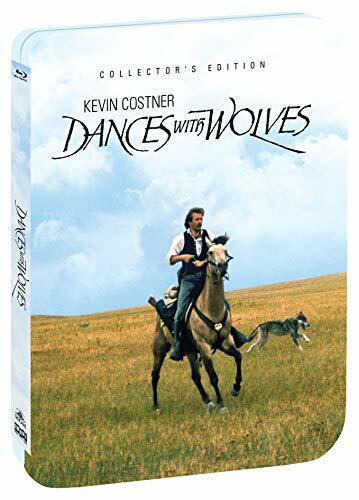 The “Short” Version Of DANCES WITH WOLVES Is Finally On Blu-Ray! | Birth.Movies.Death. Perhaps if we knew more about the plot of Avatar in the months leading up to its release, we wouldn't have suspected it would be a huge bomb. As we eventually learned, it was basically an outer space version of Dances With Wolves, which was also predestined to fail (remember the "Kevin's Gate" jokes?) but went on to be one of the year's highest grossing films and win seven of the twelve Oscars it was nominated for, including Best Picture. However, despite such success and acclaim, Costner's film has never been made available on Blu-ray. OK, I'm exaggerating. There have actually been at least two Blu-ray releases, but both of them only included the extended cut, which added 52 minutes to the already three hour runtime. While the DVD market saw the importance of doing both, and other territories' Blu-ray editions offered it, we here in the US been denied a high-def disc release of the version that people loved and, for most, was certainly already long enough. So, as Thanksgiving approaches, let us be thankful to Shout Factory for seeing fit to finally offer us a Blu-ray of the theatrical cut, presented on the first of the three discs that make up their newly released set that, god willing, will be the last time we ever have to buy this movie (it's my third copy, and that's not counting my now-lost VHS). And it comes in a nice steelbook, offering some extra protection for the version of the film that has been bafflingly forgotten throughout the entire life cycle of the format! Don't get me wrong, the longer version is fine - there are a lot of scenes I quite enjoy and wish had been left in, such as a bit where Two Socks reciprocates John's frequent sharing of his food by bringing him a dead bird, and the sequence where John and Kicking Bird go on their ride together has been extended, strengthening their friendship. But for the most part, it's just more of everything. More of the kids who like to play pranks on John, more of Stands With A Fist expressing his initial distrust of John, more of John narrating his journal...nothing bad, per se (though a strange bit where John seems to be reacting to the Evil Dead POV force comes close, saved only by its "Wait, what?" appeal), but largely unnecessary. Maybe Soderbergh or someone can cut together an ideal version that runs somewhere in between, but if I had to choose between the two, I'd go with the theatrical, easily. It's worth noting that Costner himself has more or less dismissed this version. When he was promoting Open Range, the director told EW "I didn’t work on the long version". There doesn't seem to be any animosity about it - it's the version he did commentary for, after all - but it seems the longer one was really put together by his producing partner, Jim Wilson. 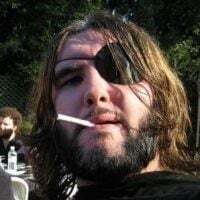 Wilson is a director himself, and in fact his first film (Stacy's Knights) featured Costner and was written by Michael Blake, who went on to write Dances With Wolves; clearly he was as invested as Costner in the whole thing, so it makes sense he'd want to offer up his own cut and put back the material that had to be excised for theatrical distribution. Indeed, they had to fight to make it three hours as it is - the studio was hoping for something around 2:20, but Costner and Wilson stood their ground. Audiences didn't seem to mind the length - it remained in the top ten of the weekend's box office charts for a whopping six months, still selling impressive numbers of tickets when some of its late 1990 competition was already on video. So, long story short - the theatrical cut doesn't need to be tossed aside. While the theatrical cuts of movies like Dark City and Kingdom of Heaven are best left as footnotes now that we have their superior versions, Costner's epic is, like most films that get tinkered with, the preferred version for many viewers (myself included), and I'm glad I finally have it again. And I'm even happier I can toss out the other versions I've gotten - the longer cut is here of course (disc 2) along with the commentaries that have accompanied most of its releases, and disc 3 offers all of the bonus features I've ever come across, including the lengthy retrospective doc The Creation of an Epic, which was produced in 2003 and runs 75 minutes. There are no new bonus features, but given the length of the retrospective and two commentaries that run four hours apiece, I can't imagine there's much left to say about the film's production. And honestly I didn't even notice until I started double checking to make sure previous supplements were all accounted for: the real "bonus feature" here was - finally - the original version of the movie itself.